Sedona Arabella Miller Schnebly followed her husband west when their small Missouri town condemned his Presbyterian religion. Arriving in Arizona Territory in 1901, they planted orchards and hosted early tourists in what is now named Sedona. This vivid journal of her life introduces you to a pioneer family: from their genteel upbringings through adventures with rattlesnakes, trappers and colorful guests. With 30 photographs from family collections, this volume of Sedona Schnebly’s experiences and ruminations draws you into a fiercely private woman’s life that is by turns amusing and heartbreaking, and always fascinating. 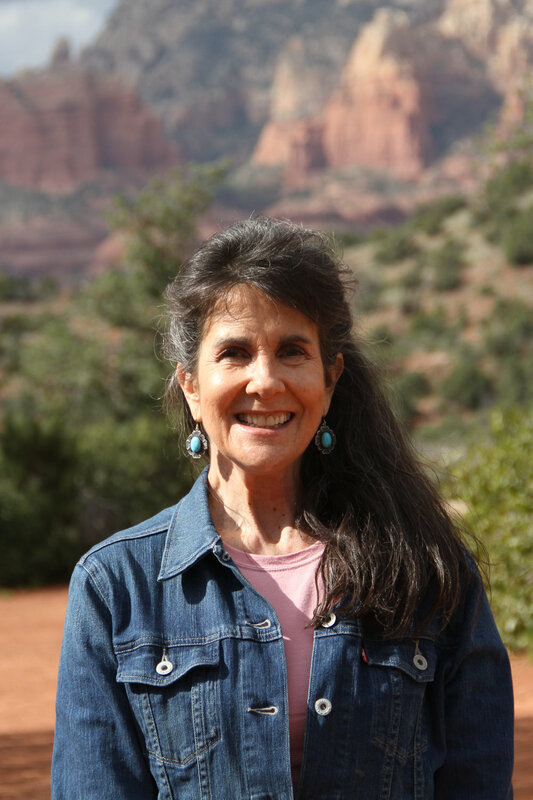 Great-granddaughter of Sedona Schnebly, Lisa Schnebly Heidinger has written nine other books about various aspects of Arizona before this tour de force journal: a culmination of decades conducting interviews and exploring archives. Voted OneBookAZ author for her Arizona Centennial book, she shares Sedona and T.C. Schnebly’s deep love of Arizona and of travel. A former television and newspaper reporter, then editorial columnist, she loves drinking at historic hotels, doing anything outside, and coffee; she vowed she’s never had an undrinkable cup, although the one made in the morning and purchased at 4 p.m. from Grey Hills Trading Post came closest.